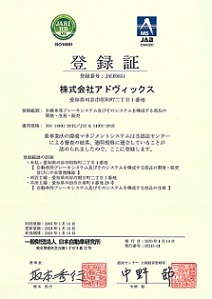 Environmental Activities-CSR | ADVICS CO.,LTD. 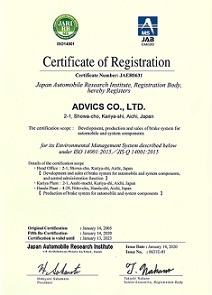 In 2005, ADVICS has acquired ISO14001 Environmental Management Certification. We are committed to develop eco-friendly technology and products with high quality. ADVICS has installed super-insulated glasses and LED lights and are using both gas-powered and electric-powered air conditioning equipment. We separate waste from the company at the "ECO-center" located on our company property and have established a recycling system. We also try to use rainwater efficiently.